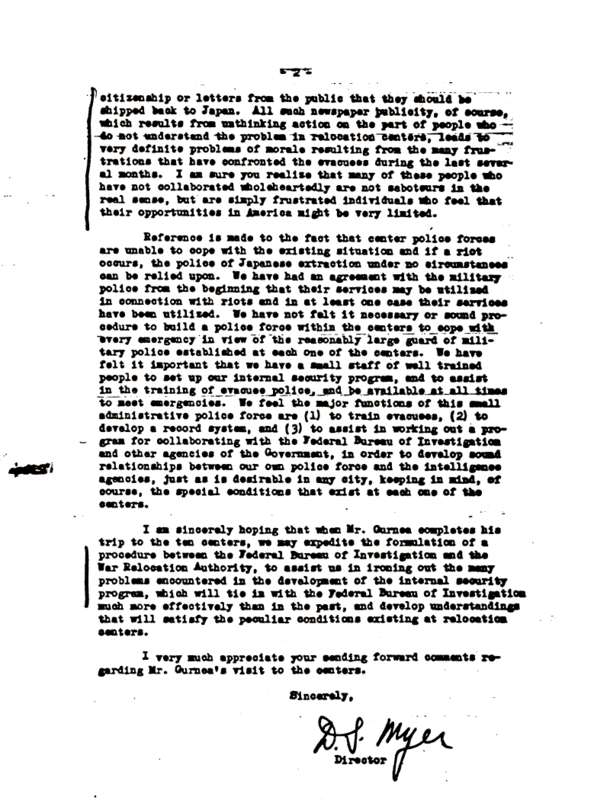 Document Notes: WRA Director, Dillon Meyers, responding to report sent to him by Hoover regarding the inspection tour of Inspector Gurnea of the FBI. Details some of the difficulties encountered by the WRA and asks for help. The Gurnea inspection tour was later thought by Meyers to be not very helpful because of the focus on security instead of community development.